London-based designer Henry Holland is inspired by the city's laundromats for his label's Resort '19 collection. 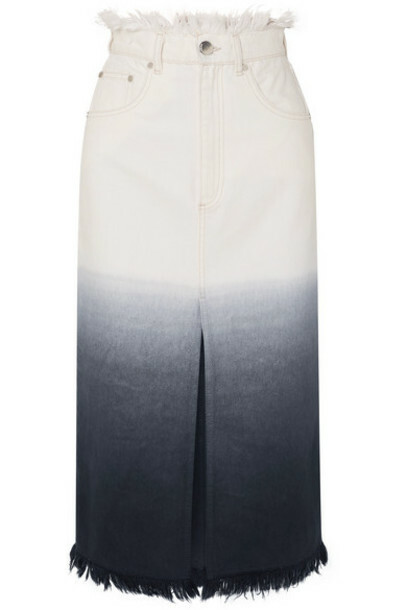 Seen in the lookbook, this frayed midi skirt is cut from denim with a cool ombré effect - as if it's been dipped in dye - and has a front slit so it's easy to move in. Wear it with a T-shirt and the matching jacket.